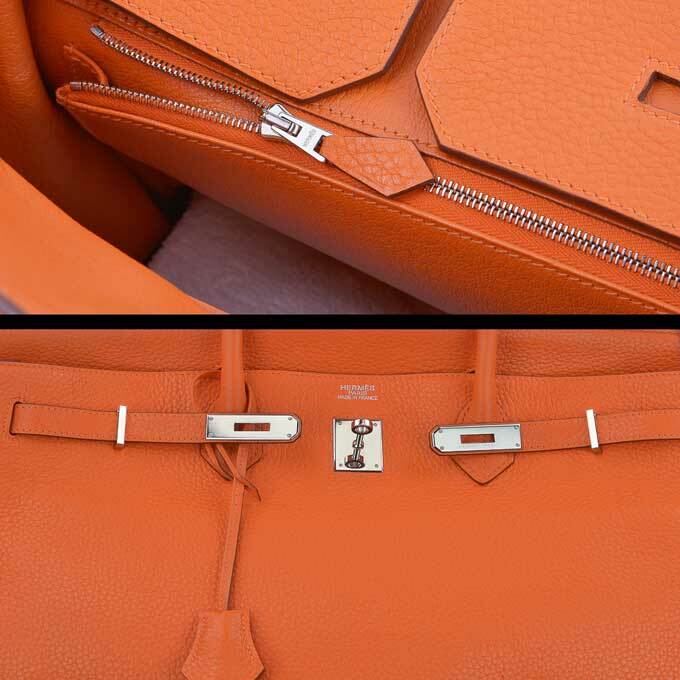 Conversation starter: What is the Hermès orange? 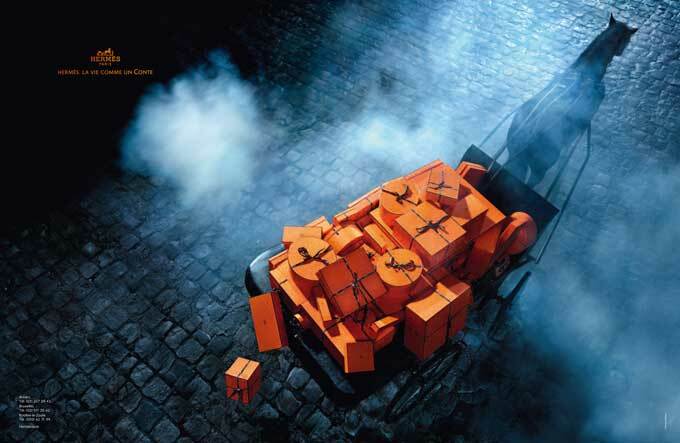 Orange has been the Hermès hallmark colour since the Second World War, when the company’s packaging supplier ran out of its traditional brown-trimmed beige box. When the company was launched in 1837, the first boxes were cream-coloured, with gilded-edging, imitating pigskin; a few years later they became mustard-coloured with brown edging. The Second World War forced the next color change. During the Occupation, the shortage of all materials forced Hermès to use the only plain paperboard available: it was orange. Moving to orange was a pretty bold move in the 1940s, but there has been no turning back for the company that began in Thierry Hermès’ saddle shop in Paris. After the war, this color was continued, but in a much more vivid shade (as today) with a relief pattern. In 1949, the Bolduc (brown ribbon) was introduced. Before 1996, jewellery and tableware had different colored boxes: grey for jewelry and green for tableware; however, today all Hermès objects come in the orange box, which comes in 188 different sizes. This burnt orange corresponds to No. 1448 on the Pantone Matching System.